Due to communication and feedback from a few coaches over the weekend, we would like to clarify the update to the SPVJSA small-sided rules that was sent out last week. As you know, the primary change was to implement a policy of no punts / drop-kicks at the 7v7 level (U-10 and younger). There are multiple reasons for the implementation of this policy at this time and we want everyone to be informed as to why we made this change. The primary reason we implemented this policy is because it is a mandate by the United States Soccer Federation (USSF) in their Player Development Initiative (PDI). SPVJSA is a member "club" of US Club Soccer which in turn is a National Association member of USSF. In August 2015 USSF released the PDI which mandated a number of things including directives on Heading, Birth Year Registration and Small Sided Standards. All member organizations were given until August 2017 to implement these mandates. SPVJSA immediately implemented the Heading and Birth Year Registration mandates and then began a process to implement the Small Sided Standards. We should, but have not yet reached our end goal of implementing all the mandates as directed. In addition, a majority of the USSF affiliated organizations in the area have already completed the process of transitioning to the new PDI mandates. This includes the USSF certified referees that officiate SPVJSA games. These referees have been officiating games under these rules since at least mid-summer at USYS and US Club sanctioned tournaments. In order to create some consistency for our officials and our players we needed to comply with these mandates. The policy of no punts / drop-kicks was a simple policy to implement and this should have been done before the season started. So, why now? The clearest answer is consistency. While we were slowly moving toward implementing all of the mandates in the PDI this one was causing frustration for both officials and coaches. Since this is a mandate, referees were already applying the rule but inconsistently due to communication from coaches during games. Many coaches who had participated in tournaments over the summer or who had looked over the PDI were already expecting this to be applied as well. SPVJSA is planning on implementing all PDI mandates for any game that is officiated by USSF certified referees, this includes all age groups starting at U9. We are still behind in implementing these mandates but with the help, patience and understanding of our coaches, we will soon be there. We know that there are some coaches and parents who will not agree with all these mandates and we understand your concerns. However, as a US Club / USSF organization we are obligated to follow these rules. While we may not all agree with all the mandates in the PDI, these initiatives are truly for the good of the development of our young players. The focus is on developing skill with the ball and intelligence on the field. The specific removal of punts / drop-kicks is to get players to focus on playing the ball on the field, out of the back. We would strongly encourage all of our coaches to look over the full PDF presentation of the PDI and the associated FAQ document. These are located on the SPVJSA web site Coaches Corner page which can be accessed at the link below. Please feel free to contact us if you have any additional questions. Thanks again for all you do! 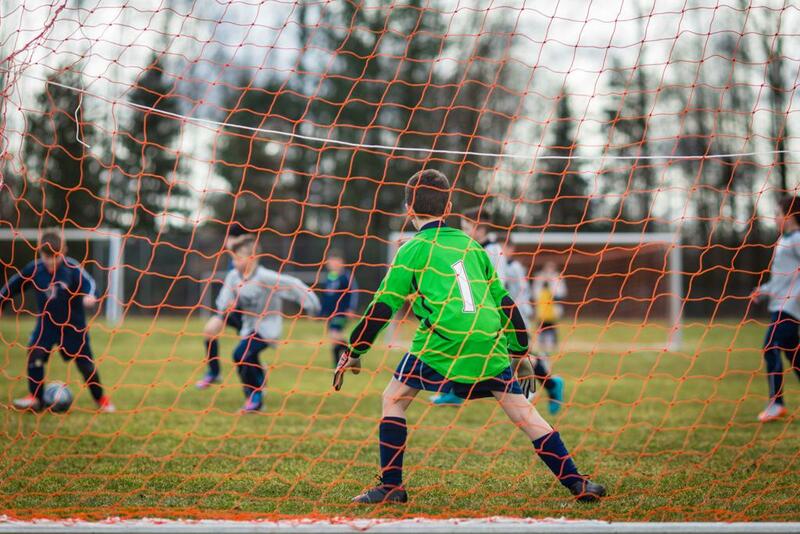 SPVJSA has immediately implemented a policy of NO punts or drop kicks at the 7v7 level (U-10 and younger). This is due to two parts of the US Soccer / US Club mandates, the Concussion initiative and the PDI (links below). We know that this change is going to be difficult to implement, especially mid-season but we appreciate all coaches working us on this. We will be communicating to the referees at Plante's Ferry as well so that we are all on the same page. • The goalkeeper can pass, throw or roll the ball into play (punts and drop kicks are not allowed). • If a goalkeeper punts or drop kicks the ball, an indirect free kick should be awarded to the opposing team from the spot of the offense. • If the punt or drop kick occurs within the goal area, the indirect free kick should be taken on the goal area line parallel to the goal line at the nearest point to where the infringement occurred. • U-13/14 - Heading the ball is allowed. • U-11/12 and younger - Heading the ball is not allowed and will result in an Indirect Free Kick. We hope that this will clear up any issues that may have come up during games. Please let us know if you have any questions or run into any issues in the future.